ABC’s anchor much closer to Hillary’s foundation than he told his viewers. That’s not what ABC News This Week host and chief anchor George Stephanopoulos delivered when he interviewed me about my new book on the Clinton Foundation last month. There’s a reason. 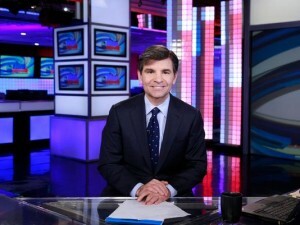 Though Stephanopoulos belatedly disclosed$75,000 in donations to the foundation, he has yet to disclose his much deeper relationship with the Clinton Foundation. When Stephanopoulos invited me on his Sunday program, I knew that he had worked as a top adviser and campaign manager to President Bill Clinton in the 1990s, but I didn’t know about his donations or his other ties to the foundation founded and overseen by the former president and his wife, potential future president Hillary Clinton. I agreed to be interviewed, expecting a robust examination of my new book, Clinton Cash, and my reporting on the Clintons’ accumulation of massive personal wealth, cronyism and the lack of transparency surrounding the Clintons’ foundation. I expected probing questions, similar to the ones I’ve received from Andrea Mitchell on MSNBC, Chris Wallace on Fox News and Frank Sesno on CNN. What I did not expect — what no one expected — was the sort of “hidden hand journalism” that has contributed to America’s news media’s crisis of credibility in particular, and Americans’ distrust of the news media more broadly. If Stephanopoulos had disclosed his donations to the very foundation I was there to talk about, perhaps it would have put the aggressive posture of his interview with me in context.